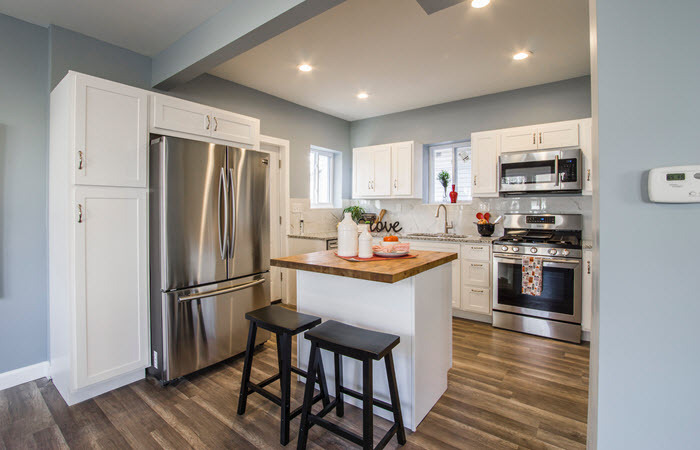 If you are giving your kitchen a makeover, then go for a color that gives your kitchen a nice change. People generally like to go for all white and sleek kitchen which is an excellent idea. It’ll allow you to add colorful elements and make it look great. If you are not fond of white, then you can go for grey, beige or even a combination of light green and white. It’ll give a nice touch to your kitchen. If you feel that your kitchen looks quite simple, then you can add a vase with artificial flowers or even real ones. You can also select a horizontal cabinet to display your beautiful crockery sets. Add some lamps and colorful posters to make it look interesting. You can select beautiful trays to keep some bottles on the counter, such as for ketchup and mayo. Invest in little, colorful things that occupy less space but add color to the kitchen. You can make your kitchen area look clean by organizing everything in cabinets and shelves. Go for open wooden shelves to keep the things that you use most often in cute and small bottles. Other than shelves, you can also search for open vertical cabinets on an unused wall to arrange some crockeries. 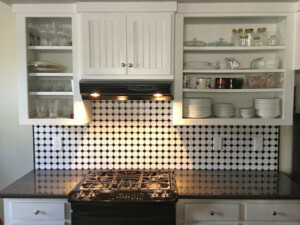 If you are struggling with space, then you can get hooks fixed at the sides of the cabinets and hang the pans on it. 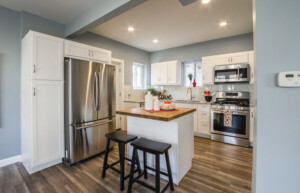 When you are selecting furniture or decor items for your kitchen, make sure that it is foldable so that it doesn’t occupy much space in the kitchen. For example, you can get a foldable serving table. You can use it for serving as well as for keeping things on it while cooking. When not in use, you can just fold it. Also if you are going for benches in the sitting area, see to it that the benches have drawers to store some of your cutlery and other kitchen stuff. Invest in multi-purpose pieces more. For maximizing space in the kitchen, select a sitting area that doesn’t take up much space. You can also go for foldable dining tables so that it can be used for serving more people for gatherings. You can also go for breakfast bars to reduce space. Add some chairs around the serving bar to make it a sitting area in the kitchen.